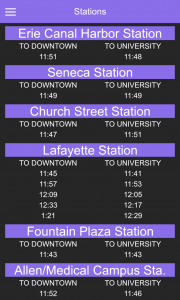 The new Buffalo Metro Rail app shows the departure times for trains along Buffalo’s Metro route. 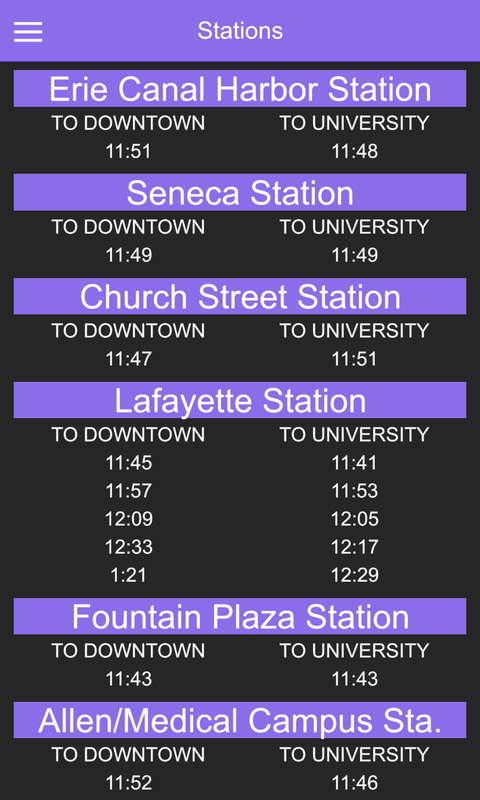 The app automatically selects the proper schedule for the day, allows for sorting options, and also shows a map of the full light rail line. Additionally the app only needs to be synced once a month, and can otherwise be used without an active internet connection.